It's been too long since I last said hello! I can joyously justify this delay because you all have kept me very busy! So I'd like to offer my thanks with a coupon of 10% toward your next purchase. Just mention this newsletter when you come in or order on-line. And remember the forever sale -- the more you buy, the more you save. 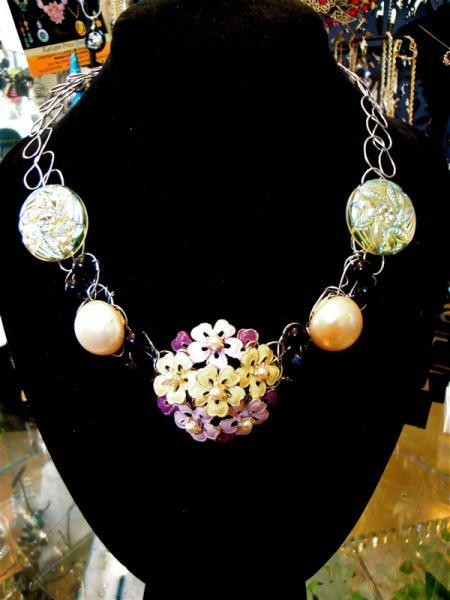 Many of you have received a necklace or several pieces for FREE when shopping for your seasonal jewelry. I'm happy to do this, especially since this "Create-aholic" can't stop creating & there is so much in my tiny boutique that I need to make room -- so you benefit!!!! This spring has been full of orders for anything from gifts for First Communion, Birthdays, Mother's Day, Anniversaries, and custom designs for the Mother's of Bride & Groom , Bride's Maids &, of course, the Bride, herself. 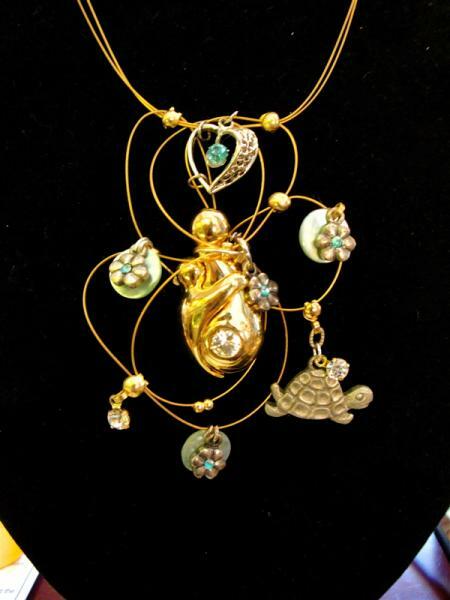 Above is Sue's Vintage Cloud representing her love for her new grandson & her mother who was called "Turtle". Below is Claire's custom design for her sister's wedding where she will be Maid of Honor. I also created for her, Vintage Revival Earrings & Ring, & a cuff from the Confection Collection to match. This website is the newest design. I hope you preview & sign up for my RSS blog or Blog feed. I update it nightly with news about the latest design adventure, both solo and with my clients. I truly love putting heads together to come up with a design that you will wear often, because we've incorporated the right colors & size to suit your style and taste. I can't wait to write about you & your next custom design! 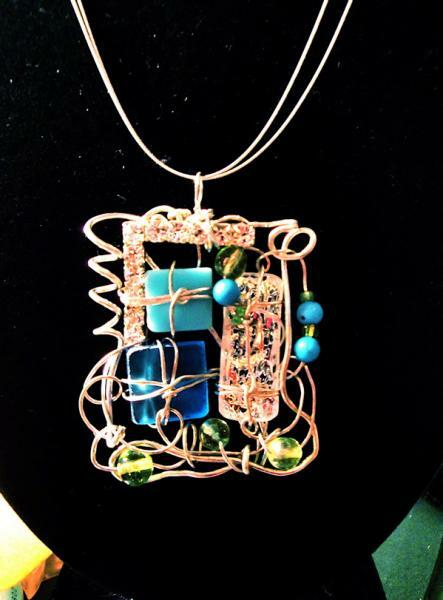 Click on this Contemporary Mosaic to view my Art Jewelry Blog! 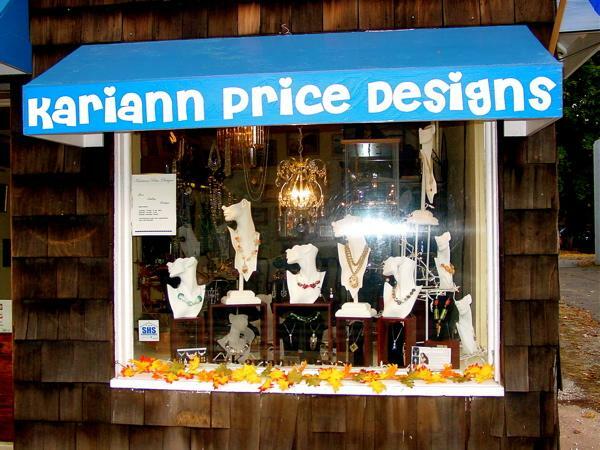 I look forward to hearing from you & to seeing many of you at my boutique at 169 Main Street, Deep River, CT 06417! Until then, I wish for you the warmest & sunniest of days!